For more enjoyable and comfortable gameplay, we’ve provided a whole host of options! 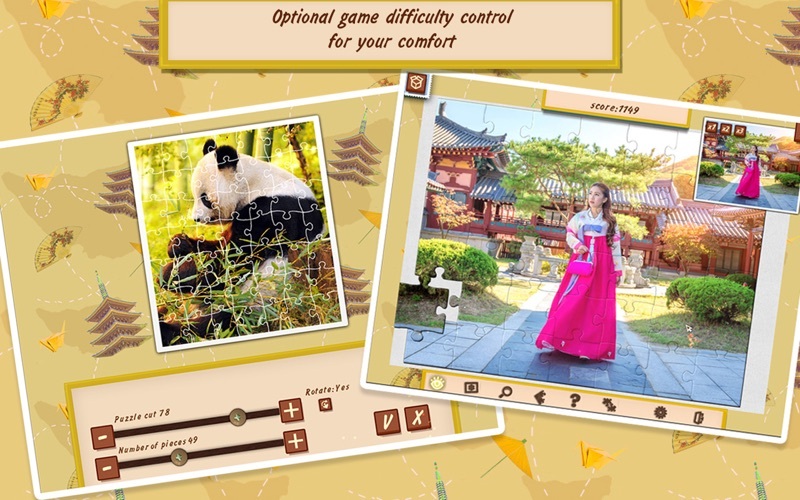 Set a difficulty to suit you for each puzzle – choose the number of pieces, their grade and turn function! Save your progress at any time and go back to assembling your saved puzzles whenever you want! 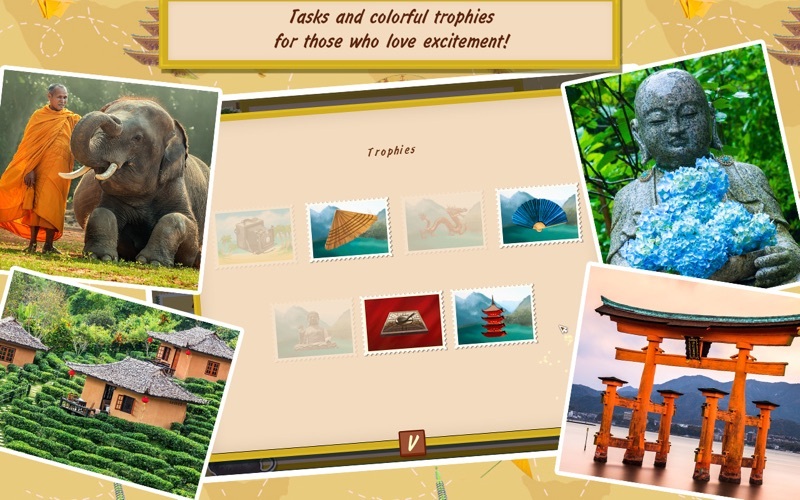 For those who love a challenge, there are tasks and colorful trophies! Simple controls and plenty of hints and tools make the game a joy to play. With all this flexibility, the game is suitable for both new players and true professionals in the logic puzzle genre. An exciting tour across Asia awaits you: see the mysterious pyramids of Egupt, the fairytale isles of Thailand, the antiquities of China, the beautiful temples of India, the unique traditions of Japan, the paradise of the Maldives, the unity of life in the East and the modern technologies of Bahrain and the United Arab Emirates. 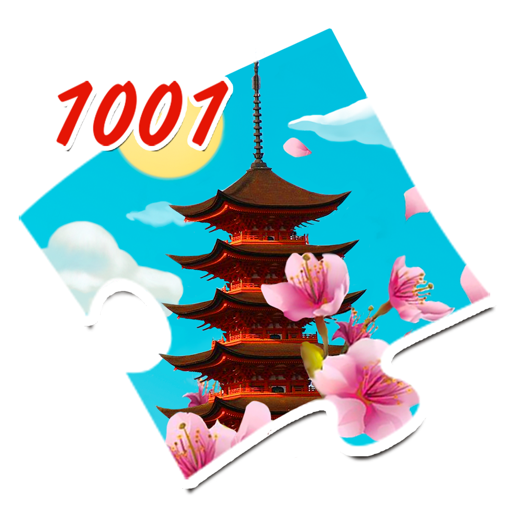 1001 Jigsaw World Tour: Asia allows you to enter the Forbidden City, stroll along the Great Wall of China, delve into Taj Mahal – the heart of India, touch the ancient walls of Angkor Wat in Cambodia, sail across the Halong Bay in Vietnam, and stay in the Burj Al Arab hotel-sail. 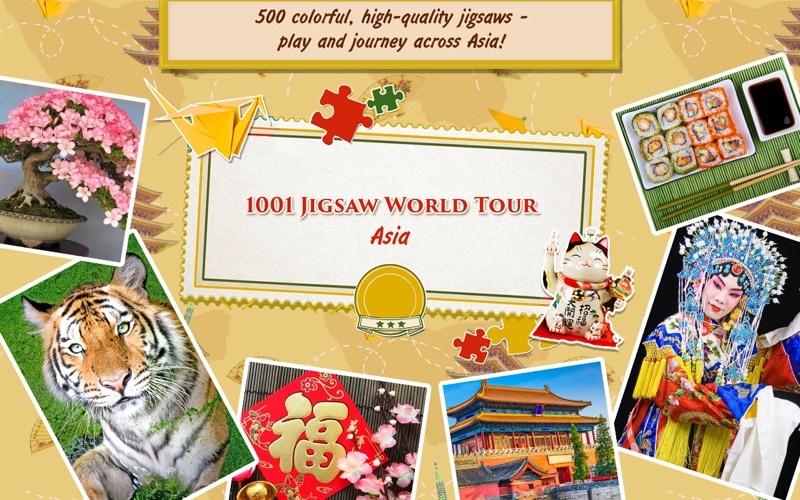 Take advantage of this unique opportunity to visit over 20 countries in Asia – play 1001 Jigsaw World Tour: Asia! 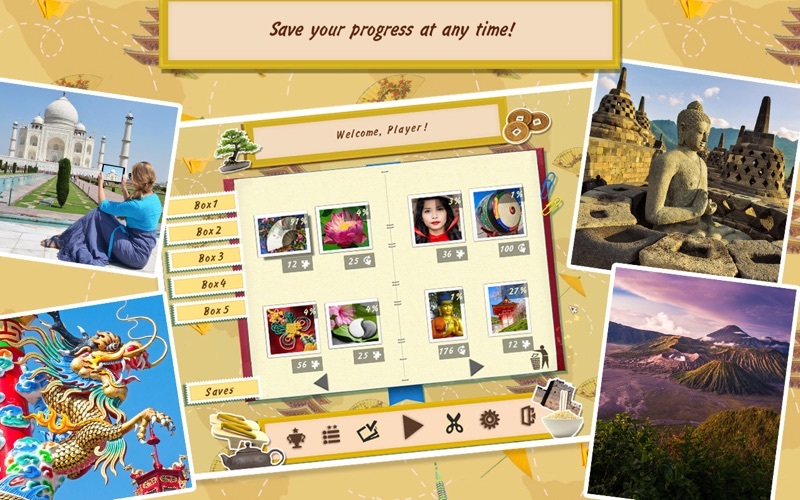 1001 Jigsaw World Tour: Asia is a puzzle game and global tour guide. 500 high-quality photos: famous sights galore, plus architecture, monuments, art, national traditions and glory, history, cuisine… The real and unique Asia! And you can start your journey through it right now! 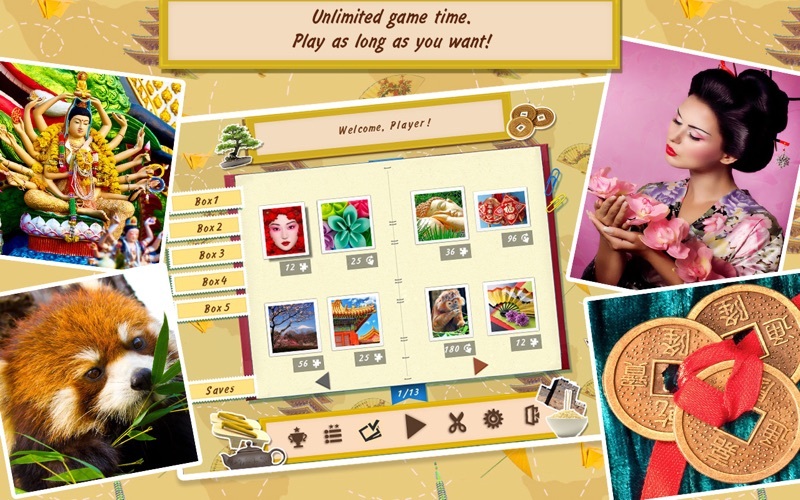 - 2 in 1: a game and a tour guide for Asia!